We make it really easy to send flower bouquets, arrangements and gift hampers to your family and friends in Randburg. Select a bouquet of gorgeous red roses for a special romantic occasion or a cheerful arrangement of colourful Gerbera daisies to say happy anniversary, congratulations, thank you, or “just because I think you’re special”. 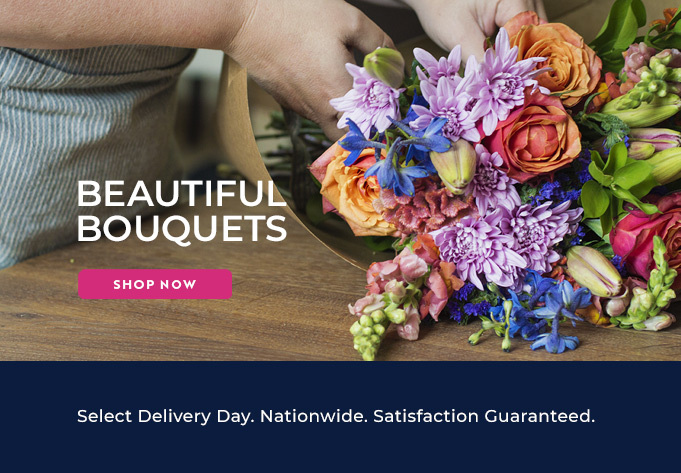 If you’re after something unique, you can opt to have our experienced Randburg florists build you a custom arrangement using seasonal flowers available on the day. You can rely on them to produce a beautiful arrangement using the freshest, high-quality blooms. You can then pair this with one of our gift hampers, a cuddly soft toy or a helium balloon to create a really special gift. Our hampers offer a range of fruit, biltong, nuts, chocolates, nougat or wine. How about a bottle of bubbly to accompany that beautiful bouquet of red roses? Bloomable (formerly SA Florist) also provides sympathy arrangements for more solemn times. Arrangement and wreathes featuring classic white chrysanthemums and St. Joseph's lilies are the traditional choices, but arrangements with more colourful flowers are a great pick-me-up to accompany “get well soon” messages. The Bloomable (formerly SA Florist) Web site is secure, easy-to-use and offers great convenience. We only use expert, experienced florists to ensure that your flower arrangement and hampers will be of high quality and will offer great value. Try us today!